The question of whether Paul teaches that Christs righteousness is imputed to the believer has been debated for roughly four hundred years. Some of the questions that arise are: What is the connection between Adam and the rest of the human race? How did Christ fulfill the role of the second or new Adam? How can the ungodly stand before a righteous God? 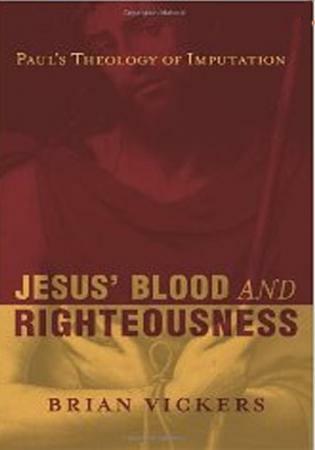 In Jesus Blood and Righteousness, Brian Vickers investigates the key Pauline texts linked historically to the topic of imputation. Though Vickers spends a good deal of time on the particulars of each text, he keeps one eye on the broader biblical horizon; like any doctrine, imputation must be investigated exegetically and synthetically. This book, and its conclusion that the imputation of Christs righteousness is a legitimate and necessary synthesis of Pauls teaching, is a valuable contribution to the ongoing debate on imputation.